The state’s newly signed Interactive Gaming Act includes a condition that prohibits licensing any company that accepted wagers from U.S. customers after Dec. 31, 2006, for at least five years. In other words, PokerStars is on the outside looking in at Nevada until at least 2018. Meanwhile, dozens of Nevada casino operators are expected to soon launch interactive pay-to-play poker websites. The Justice Department, in the July 31, 2012, settlement with PokerStars, said the company wasn’t prohibited from entering legal U.S. gaming markets. While PokerStars believes it should be able to apply to operate in Nevada, the company isn’t ready to tip its hand on any potential remedies. PokerStars had been quietly linked with potential casino purchases in the state. “We are reviewing recent legislation passed in Nevada to determine what, if any, impact it may have on our future plans in that state,” Eric Hollreiser, head of corporate communications for The Rational Group, said in an email. However, a provision in the legislation allows the Nevada Gaming Commission to waive the exclusion. A company such as PokerStars would have to file an application for the waiver and participate in a public hearing to present evidence and witnesses to support its position. The exclusionary language in the Nevada bill originated in the much-rumored federal Internet poker legislation written by Senate Majority Leader Harry Reid, D-Nev., and now-retired Sen. John Kyl, R-Ariz. The measure was never introduced in Congress. A purported draft of the bill was leaked last summer and contained “penalty box” language that would punish online gaming companies that continued to take bets from U.S. players after Congress enacted online gambling restrictions in 2006. In November, a former U.S. solicitor general told the Las Vegas Review-Journal’s Steve Tetreault the language could be found unconstitutional if challenged in court. Nevada Assembly Bill 114 sailed through both legislative houses and was signed by Gov. Brian Sandoval in less than eight hours on Feb. 21, faster than it took three players to complete the final table at the World Series of Poker’s Main Event. The bill’s authors admitted the legislation was pushed through quickly in order to beat Atlantic City to the punch. New Jersey’s Internet gaming bill was signed last week by Gov. Chris Christie. However, the measure doesn’t contain any “penalty box” language. The bill allows only operators of Atlantic City’s 12 casinos to run the state’s online gaming websites. That’s the primary reason PokerStars is spending an estimated $50 million to buy the troubled Atlantic Club on the Boardwalk. The Rational Group is working with New Jersey gaming regulators to finalize the takeover of the casino, which ranked 10th in gaming revenues among the city’s casinos in 2012. 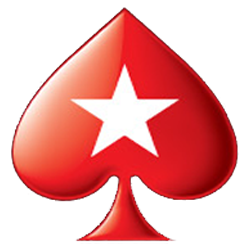 PokerStars is operating that blend successfully outside the United States. The company’s poker room in Macau will join other similarly themed live poker rooms in Madrid and London. PokerStars is creating a model for integrating online and traditional “bricks and mortar” casino activities that would benefit both businesses. Nevada regulators are giving fair shake to Internet gaming companies that accepted wagers from Americans prior to the October 2006 signing of the Unlawful Internet Gambling Enforcement Act by President George W. Bush. Caesars Interactive Entertainment partner 888 Holdings of Gibraltar was found suitable in 2011. The company is scheduled to be in front of regulators for full licensing this month. Bwin.party of Gibraltar, which has agreements to operate Nevada-based poker websites with MGM Resorts International and Boyd Gaming Corp., is also in the licensing queue. In 2009, Party Gaming – which merged with Bwin Interactive Entertainment – signed a settlement with the Justice Department, paid a $105 million fine and was cleared from ever being prosecuted for its pre-act online gaming operations. PokerStars, the Caesars-owned World Series of Poker, Fertitta Interactive’s Ultimate Poker – based on Ultimate Fighting Championship – and Bwin.party’s sites with MGM and Boyd, would be behemoths within the Internet gaming world. If Nevada and New Jersey were to agree on some type of Internet poker interstate compact, PokerStars might be left out of the picture. So who is the bigger loser? PokerStars or Nevada? Howard Stutz’s Inside Gaming column appears Sundays in the Las Vegas Review-Journal. He blogs at lvrj.com/blogs/stutz. Follow @howardstutz on Twitter. should never allowed to operate an online poker website in the United States. Kool Aid. You’re going to look like a fool once this doesn’t happen. you end up with egg on your face faster than you can say FOLD!